at 560 West 24th Street, New York. The development was completed in 2015. Sales for available units range in price from $9,500,000 to $9,500,000. Five Sixty has a total of 8 units. Sizes start at 3165 square feet. FIVE SIXTY West 24th Street speaks to a cultured life in the heart of the West Chelsea Arts District. Six full-floor residences and two duplex penthouses in the 11-story building treat authentic materials and use of space in a modern way. 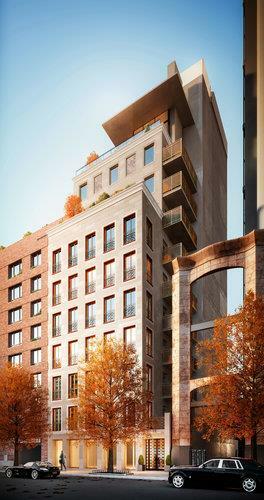 This is Architectural Digest 100 architect Steven Harris’s first ever new construction condominium project in collaboration with Adam Gordon and Tavros Development. 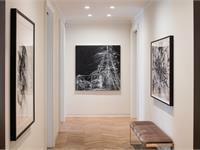 Directly across from Gagosian Gallery, and next to 200 Eleventh Avenue, 560 is at the nexus of the downtown art and cultural community. Sited between the Highline Park and Chelsea Cove, Chelsea Piers and the Hudson River Park, residents will be immersed in the highly desirable West Chelsea neighborhood, a global destination for art, culture, education and restaurants. Just north of this vibrant setting is Hudson Yards, a 26-acre site (the single largest piece of undeveloped property in Manhattan) that will bring mixed-use development including office, retail, residential, parks, open space, culture and entertainment as well as a brand new subway extension connecting West Chelsea to Times Square. The Avenue’s School is a new and important neighborhood landmark. - European solid oak floors with a distinctive Chevron pattern in the living areas. - Adjoining study features a wood burning Rosa Levanto marble fireplace mantle. - The kitchen is exquisitely milled with Custom crafted Jacaranda wood cabinetry with Rajack antique bronze hardware. - The upper cabinets with bronzeframed Bendheim fluted glass doors are operated by Blum soft closing European hinges. - The counters and backsplashes are pure white stain-proof and heat and scratch resistant Glassos chrystalized glass. - The appliances include a Sub Zero 36" refrigerator/freezer, a La Cornue, CornuFe110 43" Stove professional-style range cooktop, a Miele Diamond dishwasher, a Sub Zero 27" integrated wine refrigerator, Panasonic microwave oven and Range Craft custom stainless steel hood. - Both the kitchen and laundry room have Elkay sinks with Vola faucets and sprayers. - The dreamy master bedroom suite features a Calacatta gold marble en suite bathroom with radiant heated floors. - The Custom designed vanity with Bianco Dolomiti honed marble countertop has two Kohler under-mount sinks and Vola polished chrome faucets with mirrored backlit medicine cabinets set within a brushed nickel frame. - A Zuma under-mount bathtub with Vola mixer, spout and hand-shower abuts the large shower stall. 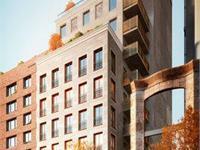 Your inquiry will be delivered to the Five Sixty sales team, who will send you more information about this development.